Have you ever wondered why cigarettes don’t go out in heavy wind and why they burn so evenly, all the way from one end to the other? Could it be that plastic particles are woven into the rolling paper to make your nicotine delivery device more efficient? Cellulose acetate is a form of plastic that’s commonly used for photo film and is highly flammable. It’s time to investigate what smoking plastic does to your heart, brain and central nervous system, and it’s time to understand a vicious cycle that can be broken with the right behavior modification and nutrition. Have you ever thought that maybe nicotine is just relief for the uneasy nervous feelings you get from smoking bug and weed killer – pesticide? 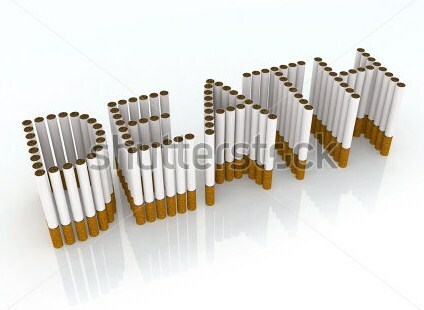 Since most tobacco is treated with herbicides and pesticides, including genetically modified tobacco that contains herbicide in its genetic makeup, cigarette addicts are addicted to poison, and it gives them a “cigarette hangover” from which they look to juiced-up nicotine for immediate relief – hence, the chain smokers of the world. Big Tobacco knows this. Many people eat white foods that are not naturally white but rather bleached white, like white sugar, white pasta, white flour and white bread, even most white rice. Yet, how many smokers realize that they are smoking bleach? It’s true. Cigarette paper comes from trees that are naturally brown, so every puff of smoke contains a little bleach. Consuming bleach on a regular basis, whether by food or by inhaling fumes, causes cancer of the lungs, the bladder, the pancreas, the liver and other cleansing organs that are vital to life. Filter bleach from your daily intake starting right now. Fiberglass insulation is what insulates most attics and keeps them warm in the winter and cool in the summer. It’s made by grouping millions of tiny glass fibers, which are tiny rods of glass nearly too small to see individually, like glass wool. 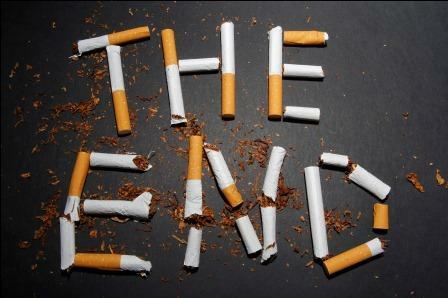 There is a reason why cigarette filters (butts) take up to fifteen years to disintegrate. They are made of glass wool, and that is why a smoker’s fingers and/or thumb stay cool, even when they smoke the cigarette right down to the nub/filter. When these tiny “shards of glass” escape into the mouth, throat, esophagus and lungs, they rip apart the epithelial tissue, the soft tissue lining the inside of those parts of the body. This creates damage not only on the surface but on the cellular level. Then the chemicals creep into the wounds, and that leads to cancer. When viewing X-rays of people exposed to asbestos or fiberglass, and even smokers lungs, ground glass opacity (glass fibers sitting in lungs) looks as if someone breathed in glass fibers and a pile of them are just sitting at the bottom of the lungs, like ground glass in a busted light bulb. Can this be filtered out of the lungs, ever? Can a person detoxify themselves from ground glass “syndrome”? Your body is ready for a change, a permanent change, over to organic living. You can detoxify yourself of the four big killers that have been hiding in cigarettes, keeping you from reaching your potential in life. Now is the time. Make the resolution for good health and prosperity.